With dreams of watching fireworks from the Magic Kingdom and visiting Mickey Mouse and The Incredible Hulk at the world-famous theme parks. Orlando is a retirement dream for many snowbirds. 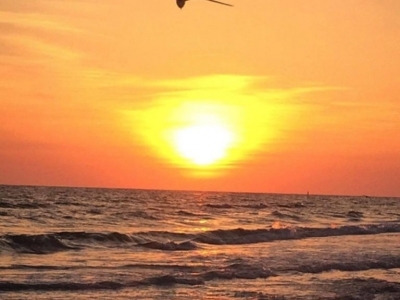 With no state income tax, low taxes overall, and beautiful weather to boot, many people choose Orlando and the central Florida area to retire to their dream. With the beach only an hour away, there is plenty to do, lots of tourist activities, and with the theme parks minutes away, family members will always find an excuse to visit! One of the great things about Central Florida beyond the touristy activities is the relatively inexpensive lifestyle. For someone used to big city prices, Orlando has very affordable homes in tight knit communities for all ages. 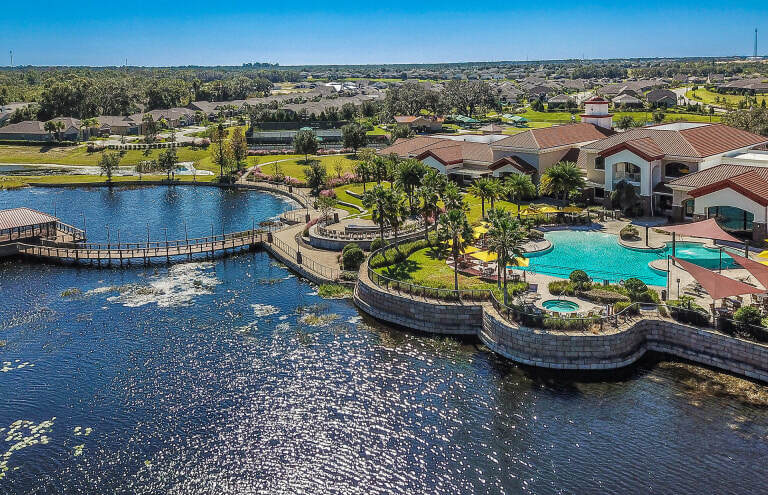 With cheap flights to almost anywhere (including overseas), miles of roads, and an easy-going lifestyle, Central Florida is a great place for anyone to retire. Below are two Active Adult communities for you to consider. 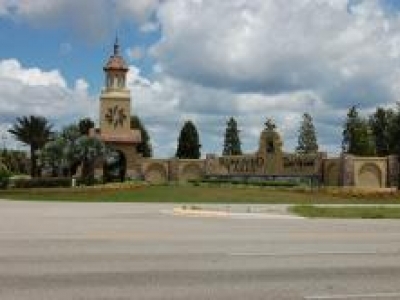 Ridgewood Lakes is a gated master planned community located in the Heart of Florida 30 miles southwest of Orlando. It is one of the finest and most popular developments in the area. It a natural fit for two active adult communities. Ridgewood Lakes offers an 18 hole championship golf course with a pro shop, driving range, grill, tennis courts, landscaped nature walks, and hundreds of acres of preserved land. The golf course has been recognized as one of the most tropical settings in Central Florida. The fairways are surrounded by lush palm trees, tropical plants, natural lakes and colorful flowers. It is located just two miles south of Interstate 4 on U.S. Highway 27 which has been known as the Active Adult Corridor. It is convenient to everything you might need and want. There is endless shopping centers, malls, and local premium outlets. The medical facilities and the Heart of Florida hospital are two miles from the entrance. Your wide-eyed grandkids will only be a short ride away from many world-class theme parks. Orlando International Airport is an easy 30 minute drive and the beaches in either direction are about 80 miles. Kennedy Space Center would be another thing that would fascinate your grandkids and yourself. The attractions and getaways are endless. High Vista at Ridgewood Lakes is a 55 plus active adult community and has 623 homes with a 12,000 square foot clubhouse. It was completed in 2005 after opening in 1995. It has a ballroom, craft room, card room, kitchen, exercise room, library and small pub for gathering and watching TV. The outdoor activities include a large heated pool and spa, tennis courts, shuffleboard, and horseshoe area. There are plenty of activities like a computer club, investment club, bridge club, Bible study, book club and much more. Most of the floor plans include two car garages and some cart garages. They start at 1,300 square feet and go up to 2,600. Del Webb Orlando (formerly La Cresta) is the other 55 plus active adult community in Ridgewood Lakes has 830 homes. The clubhouse is the center of activities. Del Webb is known for their lifestyle and keeping with their reputation for this state-of-the-art facility. There is an indoor pool and outdoor pool, 2 tennis courts, 4 bocce ball courts, 4 pickle ball courts, all courts are lighted, horseshoes, basketball, sunset pavilion for fishing, and much more. There is lifestyle director and many activities for the residence. The fitness center and indoor walking tract are a great feature. The demonstration kitchen, ballroom, media room, juice bar, meeting rooms for cards and crafts is bustling with activities.